The Acid Rain Marine Infantry is back! 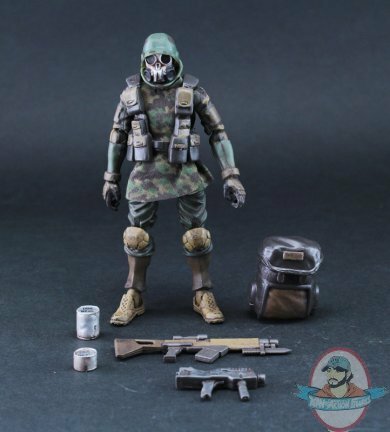 This figure is a highly poseable (30 articulation points) 1:18 fully-painted military action figure with highly-detailed weathering effect. Featuring a removable back pack, helmet and rifles, the Marine Infantry is perfectly matched with the Acid Rain mobile armor series.